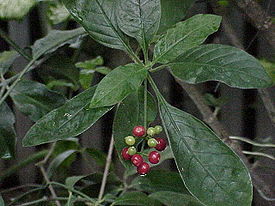 Used For: The herb is used to induce expectoration, vomiting, and promote saliva secretion. Ipecacuanha is applied mostly due to its expectorative capacity for maladies like whooping coughs and bronchitis. Used in larger amounts it produces an emetic action, being beneficial in case of poisoning. When used as an emetic remedy, the herb should be supplied by high water quantities. By promoting excessive mucous discharge from the membranes, the herb helps relieve coughs. Additionally, it acts as a stimulant for saliva secretion. It is considered helpful in treating amoebic dysentery. Commonly mixed with: To relieve bronchial diseases, Ipecac is used in conjunction with Grindelia, Coltsfoot, and White Horehound. To treat amoebic dysentery it is used together with Echinacea and American Cranesbill. Additional Info: The herb is indigenous to tropical areas of South America, and specially raised in the southern areas of Asia. Preparation and Intake: To prepare an infusion, take the herb in a low quantity, 0.01-0.25 grams, and aid it with a cup of boiling water, then steep for five minutes. The result is consumed thrice per day. Used to induce vomiting, the herb is taken at a dose of 1-2 grams, or a quarter to half a teaspoon, and made into an infusion. Safety: Exercise care when taking the plant. After using it for emetic purposes, drink much water to supply the remedy. There is no further data concerning the plant’s safety level. It is possible that the plant interacts with the medicine you use. Speak to your health-care provider before using the remedy.